KATHMANDU, April 10: Leaders of the CPN (Maoist Center) have said that the planned unification between their party and the CPN-UML could be delayed by a few weeks, or even a few months, due to widening distrust between the two sides. The two parties, which inked a seven-point framework merger deal on February 19, were planning to make a formal announcement of unification on April 22, which is Lenin's birth anniversary. But two CPN (Maoist Center) leaders on Monday told Republica that the possibility of merger on that date has "almost ended". They said the UML's upper hand in crucial decisions relating to governance and power sharing was the main reason behind change in the Maoist stance. "Some old issues and some new ones have forced the party rank and file to seek more time for the merger. The unification could be delayed for some time," said a Maoist leader. Maoist leaders cited four reasons for the possible delay . One, there is a deep sense of insecurity among Maoist leaders over the party's and their own status in the unified party. Despite preparing a political and organizational document, the UML and the Maoists are yet to finalize the sharing of power in the new party. Lack of clarity on division of power and portfolios has put party Chairman Pushpa Kamal Dahal under pressure not to unify in haste. This, together with some idelogical disputes, has obliged Dahal not to give the green signal too quick. Dahal is planning to summon a central committee meeting before signing a formal pact. The second reason is the UML's upper hand in the issue of governance. Maoist ministers in the government have long accused UML of isolating them. They are particularly unhappy with Prime Minister KP Oli bypassing them on crucial decisions. Last week Oli transferred some two dozen government secretaries without consulting anyone. During an internal meeting with Maoist Chairman Pushpa Kamal Dahal, Maoist ministers expressed serious dissatisfaction over Oli's growing interference in the work of their ministries. "UML has been unilaterally taking all decisions relating to government even before the unification. There is a danger that he will further isolate us after the two parties become one," said another Maoist leader. Three, Maoist leaders are calling on the party leadership not to merge unless some theoretical issues are sorted out. They said that UML's "opportunistic and ever changing position" on the issue of nationalism have raised doubts over the ruling party's commitment to other historical achievements. 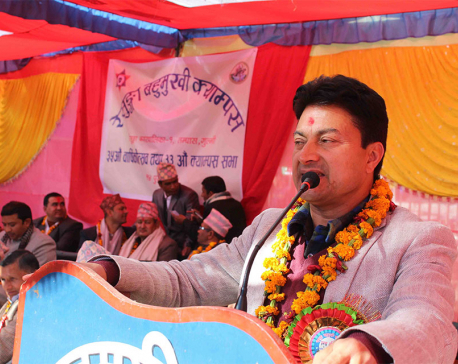 "UML's populism has further weakened nationalism. We are looking for further assurances on the party's commitment to secularism, federalism and republicanism," said yet another leader. Four, Maoist leaders have cited the need for further homework on the issue of division of powers. The two parties are at odd over this. The Maoists have demanded equal and dignified status in the new party, while UML wants to share power based on the outcome of the parliamentary and provincial elections. The two parties are expected to resume talks on unification after UML senior leader Madhav Kumar Nepal returns from a China visit. During a meeting with party leaders at his residence on Monday, Maoist Chair Dahal said that he would raise these issues with Oli. 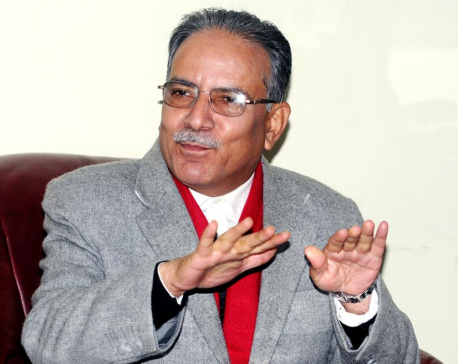 Dahal said all outstanding issues would be resolved before unification. He also clarified that there won't be unification until the differences are resolved, according to a minister present at the meeting.